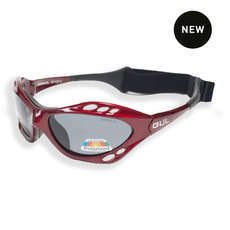 The Gul Saco Floating Sunglasses are a superb accessory for your sailing kit. 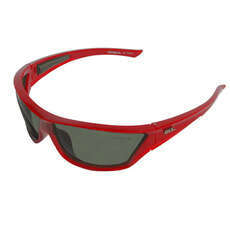 Designed for use on the water, they are floatable with light, tough and flexible frames made from grilamind TR90. 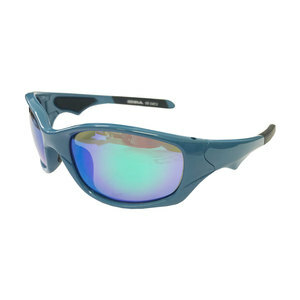 Their Polarized lenses are glare free and give 100% ultraviolet protection. Hytrel Anti-Slip: incorporating a nonslip material on the ear socks and bridge, helping to keep the frame securely on your face.Finished with Gul branding giving a stylish look. Sunglasses are supplied with Hard travel case for storage, Microfibre bag which doubles as a lens cleaner and retainer for a secure fit. TR90 frames: lighter, tough and flexible. Hytrel Anti-Slip: incorporating a non-slip material on the ear socks and bridge, helping to keep the frame securely on your face. Wrap around styling for maximum protection.